It was 1982; Olivia Newton Johns’ Physical and I Love Rock n Roll by Joan Jett were at the top of the music charts when a young male piano teacher arrived at St Brendan’s College, Yeppoon to teach music in a small room at the bottom of the ‘Tower’. Mr Jack Ingram, St Brendan’s College’s renowned Head of Music, commenced as a casual music teacher under then Principal Brother Bob White, and over 37 years has shaped the music program with a commitment to fostering a love of music in students and ensuring the greatest number of students experience music education. As Mr Ingram’s experience grew in those early years so did his approach and today the College music program and facilities are Central Queensland’s most inclusive, modern and state-of-the-art, including a recent $350,000 upgrade to its 788-seat performing arts centre. “The education system at that time was saying you can only teach two to five kids, and you can’t teach mixed instruments, and I thought, hang on you’ve got a degree, surely we can make a system that works,” Mr Ingram said. 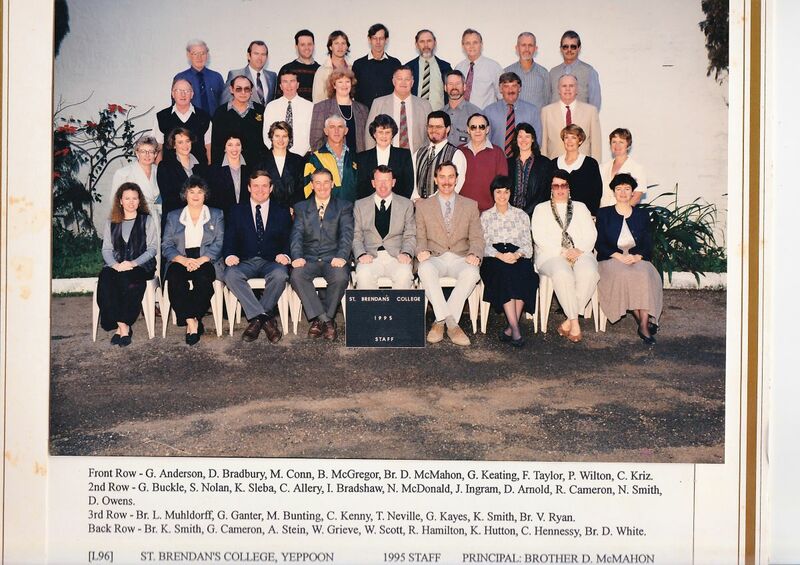 Mr Ingram studied further to continue to develop the inclusive, full participation strategy to which St Brendan’s College abides by today, with training from Trinity College in London and education in Australia; a Graduate Certificate, a Graduate Diploma, a Masters in Instrumental Teaching and Conducting. “How do we make the musical experience of one term something that gets students hooked on music?” he said. 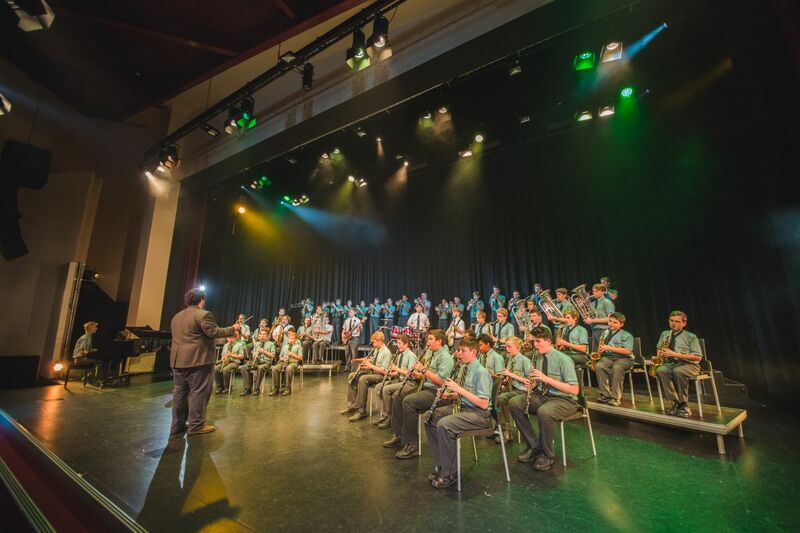 Today, Year 7 students have three classes per week of music, experiencing a range of instruments from cajons to drums, guitars, clarinet and trumpet to give every student a taste of music, and more than 50 per cent of students at the College participate in some form of music instruction. Mr Ingram has countless stories of SBC students he has taught over the years; from the high flyers in the media, to those men who continue their love of music either as a profession or as a part-time passion. Jared Mabo an Indigenous student whose unique journey has seen him tour America playing rugby union and then taken him to Tasmania to study Music Education at the Tasmanian Conservatorium. Another story is of Blayne Kingston, an SBC Old Boy from 2010 who credits the SBC music program for his employment as a pilot for Rex Air in New South Wales today; to Mr Ingram’s encouragement for him to stand on a stage with confidence singing or playing his tuba, to present himself well and sell himself at interviews. It is these and many others that further justify the importance of music education at St Brendan’s College, and it is a topic that Mr Ingram is extremely passionate about, as he sees students who excel in music in the younger grades choosing other subjects at subject selection. Mr Ingram has an appeal for parents to support students as they consider subject selection later in the year; to look carefully at the subjects their students are doing and see where they are excelling. “It’s parents looking carefully at the subjects their son is doing and saying: if he enjoys the creative arts subjects and is doing well in music in the junior years, then let’s encourage him to continue to develop that creativity and confidence by doing music,” he said.